The Imam did not segregate between the social classes. The Imam was often seen roaming the streets of Kufa like everyone else. He did not need the army to protect him. He did not require a showy parade to inform people that he was passing by. In fact, many times, the people who interacted with him did not even recognize him. The Imam used to help them. The Imam used to protect them. One recalls the time where he brought food for a widow and her children and how he played with orphans. The Imam was part of his people. Justice was the cornerstone of his reign.In 35 AH, after the death of the third caliph, the Muslim community rushed to Imam Ali (peace be upon him) and paid allegiance to him as the apparent ruler of the Muslim world. In 40 AH, the accursed Ibn Muljim struck the Imam with a poisonous sword, ending the Imam’s reign. Despite being distracted by three tiresome battles during this short time, the Imam nonetheless established a golden era in the history of Islam, one that extended the legacy of the Prophet’s era. Imam Ali’s government has set the example in terms of ruling and leadership, and it deserves to be studied and understood. These words summarize the philosophy behind the government of Imam Ali. The leadership of the Imam was centered on the religion as one and the human being as the other. In reality, both cores imply the other, and they complete one another. Another dimension of his justice was the policy that no one was above from the law, even himself. The law during the Imam’s term did not distinguish between poor and rich, relative or stranger, merchant or farmer. The story is famous when the Jewish man stole Imam Ali’s shield. The Imam, despite being the infallible leader who has control of the whole nation, did not abuse his power and went to court. The judge ruled the shield for the Jewish man, and the Imam accepted the decision. The Jewish man accepted Islam after seeing the justice of the Commander of the Faithful. The religion of Islam is dedicated towards the human being and ensuring a productive life in this world and the Hereafter. Since Islam was at the core of Imam Ali’s leadership, the human being becomes a core automatically. The Imam worked very hard to ensure that no person felt on the outside of the community. Even if the person was not a Muslim, the Imam wanted everyone to feel welcomed. 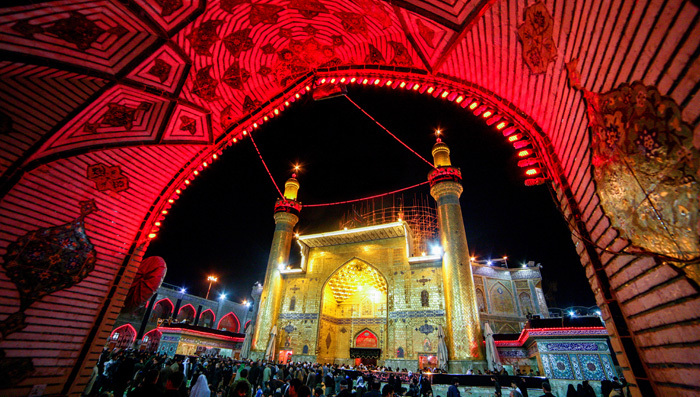 The leadership of Imam Ali is a school we all have to learn from. During those years, his domain extended over fifty countries as per today’s map. It is unfortunate that today, with all the technological advancements, there are countries with worrying unemployment rates. There are countries where water is barely available. There are countries where people sleep on the streets. And more importantly, there are countries who belong to Islam by name, but when it comes to the laws, the religion could not be any further. It is incumbent upon us to learn from the examples of our Prophet and Ahlul Bayt (peace be upon them all), and we should strive hard to change our situation to the better. This of course is the necessary lead-in to the government of Imam Mahdi (may Allah hasten his reappearance) – the government which will be a continuation of the Prophet’s and Imam Ali’s leadership examples. How Islam treated the dangers of hunger?